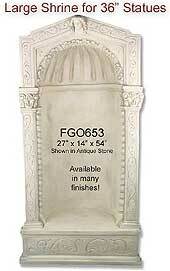 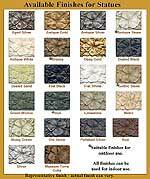 FGO652 - 38" Fiberglass Shrine Niche - shown in Antique Stone finish, but also available in many other finishes. 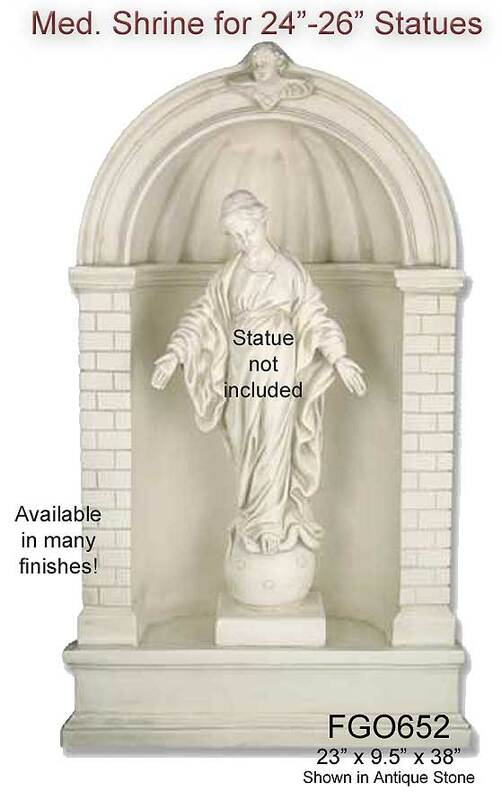 This fiberglass shrine niche is 38" tall and perfect for sisplaying up to 26" statues, and is available in a wide variety of finish colors. 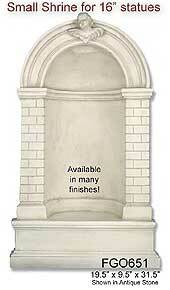 Allow 6 weeks for delivery.